”Take advantage of the fantastic opportunity to purchase a beautifully remodeled home in the most desirable younger active adult community of Westbrook Village. 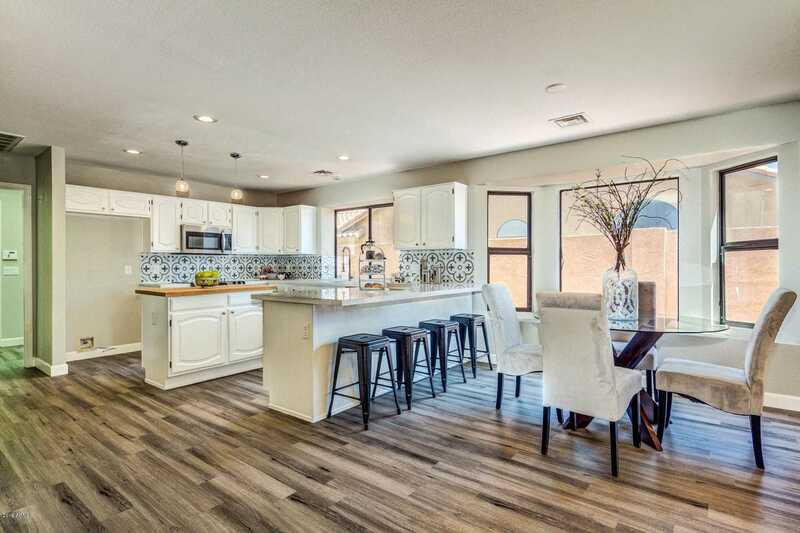 You will not only have a beautifully appointed home, but a refreshing pool for the warm summer nights.” Gorgeous quartz counters in kitchen and baths. This cook’s kitchen includes a butcher block top at the island.” The location is prime!! 5 to 10 minutes away from all the restaurants, Baseball stadium, and all major shopping places such as Costco, etc. Cool, calm and sophisticated with a youthful edge, this functional home is enveloped in light and comfort. Lease Option or Seller Finance available!! contact us! Directions: North from Union Hills to Westbrook Village Pkwy west to Behrend left to 93rd Ave, left street curves into 92nd Ave south to property on the west side of street. Approximate size: 9964.00 sq. ft. Please, send me more information on this property: MLS# 5881706 – $355,000 – 19640 N 92nd Avenue, Peoria, AZ 85382. I would like to schedule a private showing for this property: MLS# 5881706 – $355,000 – 19640 N 92nd Avenue, Peoria, AZ 85382.